This visual support is a great tool for any individual who struggles with knowing how to behave in different places. The settings we include are: “At home…” “At the library…” “In class…” “At gym…” Also included, are different behaviors which are, or are not appropriate, in these different settings. 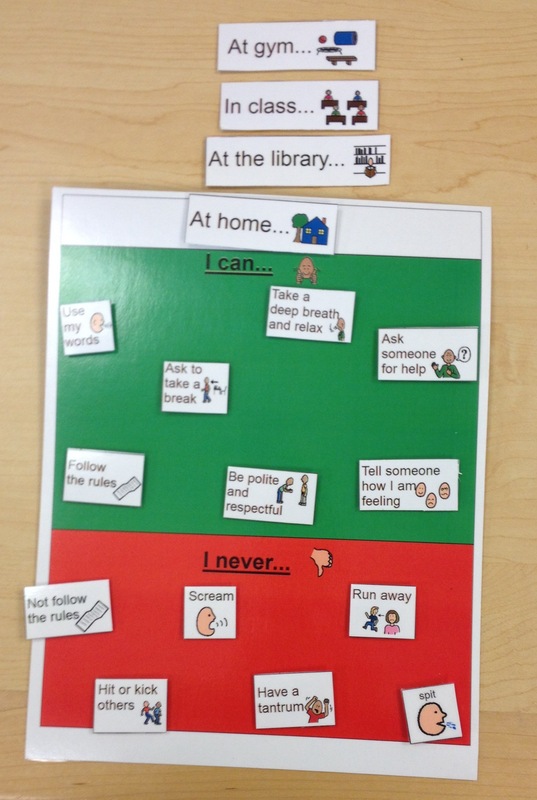 The top portion is the “I can…” and the bottom half is “I never…” This is a great tool to use in these different settings to remind individuals of acceptable or unacceptable behaviors, but it can also be used as a learning tool. Individuals can place the different behaviors where they think each belongs. This is a great opportunity to explain why these behaviors ARE or are NEVER acceptable. Come stop in the resource room to get yours today, or to see everything else we have to offer! This entry was posted in Behavior Modification, Visual Supports and tagged Autism Spectrum Disorder, behavior modification, visual support. Bookmark the permalink.